REVISTA JOVENS, No. 1. Construyendo una generation diferent. 16 lecciones. Sujets: Dios, Projimo, Yo, Familia, Iglesia, Sexualidad, Mayordomia, Mundo Actual.118pp.250mm x 200mm. 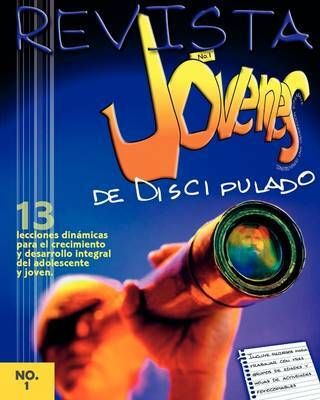 REVISTA JOVENES, NO. 1 (Spanish: Youth Magazine, No. 1) by David Gonzales was published by Casa Nazarena de Publicaciones in September 2009 and is our 60079th best seller. The ISBN for REVISTA JOVENES, NO. 1 (Spanish: Youth Magazine, No. 1) is 9781563445613. Be the first to review REVISTA JOVENES, NO. 1 (Spanish: Youth Magazine, No. 1)! Got a question? No problem! Just click here to ask us about REVISTA JOVENES, NO. 1 (Spanish: Youth Magazine, No. 1).